There are 3 million individuals who have chosen and worked to become registered nurses (RN’s) in the US as of 2017. 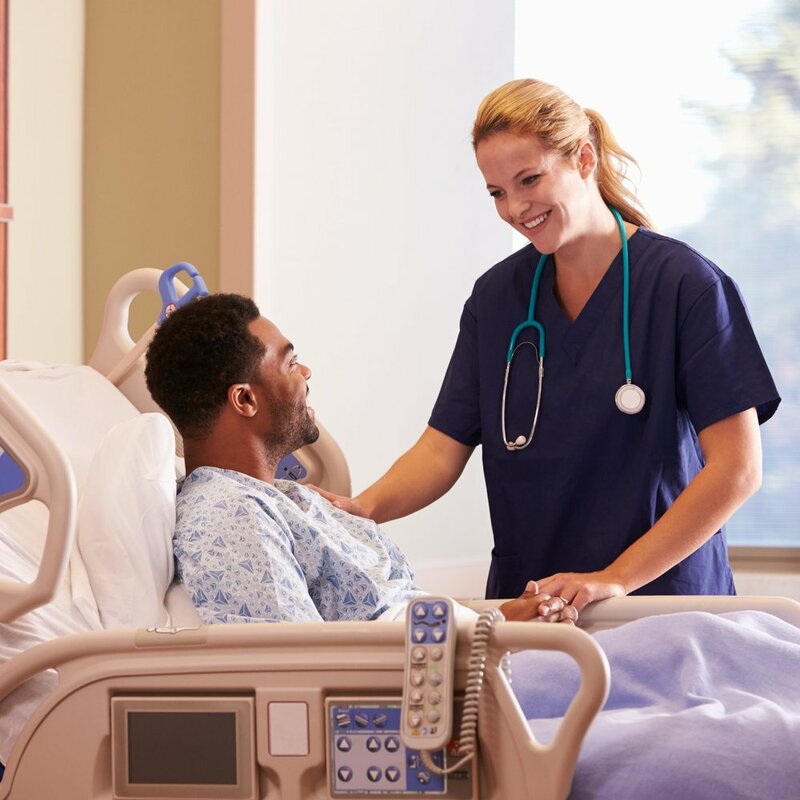 While their reasons for choosing this profession vary, there is one foundational trait that most nurses share: an innate desire to care for other people. Nurses face significant challenges, including overcoming the barrier to entry (minimum of 6 years of professional education, training and certification), adapting to the job’s increasing complexities and often receiving less recognition than other hospital professionals such as doctors. In other words, most nurses don’t choose their profession for the money, glory or ease of the job. Most chose to be nurses because their passion and care for other people outweighs the challenges they face entering and staying in the nursing role. Nurses spend more time interacting with patients than any other healthcare professional. Their role requires them to juggle multiple responsibilities including ongoing patient bedside support and monitoring (physical, emotional, mental), administering of medications, educating patients and communicating with their families, discharge planning, follow-up care and bringing all of that patient data together to drive care. Amidst these clinical tasks, nurses are also gathering the supplies and equipment needed for patient care and may need to perform other logistical tasks such as delivering lab samples or light housekeeping. The healthcare industry is changing at a record-breaking pace in attempt to deliver better patient care while controlling costs and improving operational inefficiencies. These changes include institutional overhauls and introducing new technologies like electronic medical records (EMRs) and patient online portals. The US population is aging, insurance policies are changing and the typical patient on a hospital medical/surgical unit is more acute than ever before. Thus, nurses have to navigate operational changes while also providing high quality care to patients who increasingly demand more of their time. EMRs are digital versions of patient paper charts in healthcare provider’s offices and hospitals. EMRs are intended to help clinical staff provide more efficient and accurate (based on patient prior data) care to patients. While EMRs have drastically improved the way our healthcare industry manages patient data, they also have introduced significant time and workflow challenges. In a 2018 study by Applied Nursing Research examining nursing burnout and EMRs, 50% of advanced practice registered nurses (APRNs) indicated that EMRs added to their daily frustration and 97% said they had insufficient amount of time for EMR documentation. In addition to new operational workflow changes, our country is facing an aging population, longer life expectancies, health insurance changes and overcrowding in hospitals resulting in nurses having to care for more patients with more acute needs over shorter periods of time. In contrast to chronic, long-term care, acute care refers to short term care for unexpected, emergency situations like severe injury, urgent conditions and severe illness. Acute care patient settings are much faster-paced, stressful, and have higher volumes of patients. Increasingly, chronic care is being delivered outside of hospitals, in specialized treatment centers. One result of this transition to less chronic care taking place within hospitals is that hospital nurses are caring for more acute patients, while still coordinating with chronic care facilities as an integrated partner. Nurses are the ones who catch the small patient changes both physically and emotionally that are vital in understanding the patient’s needs and overall health. With higher intensity acute care workflows and increased volumes of patients, nurses may have less time for the level of patient bedside surveillance and interaction than they used to. Nurses are indispensable members of the hospital clinical care team, coordinating a patient’s care, providing emotional support, educating patients about their condition and facilitating their transition to home or other care arrangements. Yet, studies find that they may spend up to 30% of their precious and valuable time on non-patient-facing logistical tasks such as locating supplies and equipment needed for patient care or delivering specimens to the lab. This is problematic when you consider that studies also find that that the amount of time nurses spend in direct patient care is a key determinant of patient satisfaction, better patient outcomes, and shorter lengths of stay. At Diligent Robotics, we realized we had an important opportunity to use our technology background to create a product that would return time for nurses at the bedside and enable them to remain focused on patient care. Moxi is our friendly social intelligence hospital robot that supports nurses by carrying out logistical tasks such gathering and delivering equipment and supplies needed for patient care so that nurses do not have to leave the patient bedside. We created Moxi to empower nurses by doing the parts of their jobs that they don’t want — or should — have to do. Human interaction is crucial in an industry where healing is the focus. Moxi will never try or be able to replace the skillful care that nurses provide; their ability to emotionally connect to patients, to critically analyze all aspects of their progress, and to coordinate their care. But we hope Moxi will be a valued member of the care team that positively supports nurses on the back-end. Moxi is just one of many efforts aimed at supporting the 3 million individuals who’ve become nurses and dedicate their lives to helping others. Join us in our journey to thank and help those who help us!